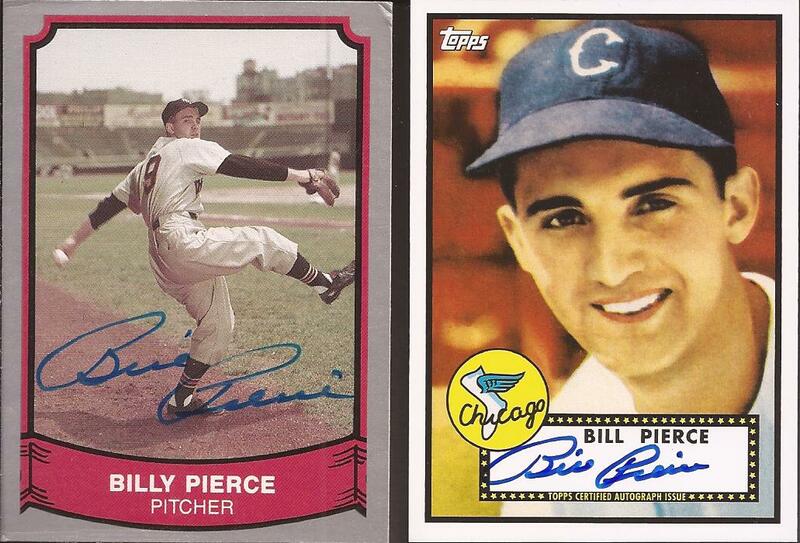 I said I would take a few days before I got to the passing of Billy Pierce. Not so much to collect my thoughts. I mean, yeah - I liked the guy. He was well liked by the White Sox, Sox fans and especially the fans of baseball in general. There's a reason he has a damn near 100% return rate on through the mail autographs. Billy knew that his "job" didn't end when he hung up his last jersey. He took his role as an ex ball player with the humility one would hope most players do. I think what most saddens me about his passing is how little attention it received. For a player of his caliber (and I will get to the hard numbers soon enough), it was really looked over. Besides a single line on ESPN, and I don't think the link stayed up very long, he was forgotten by the site that claims to be the world wide sports authority. In fact, if you go there and view their page design, there is a Twitter feed that runs on the right side. Over the 48 hours from time of his passing, a mention of Pierce's death showing up a grand total of never. If you went to the MLB main page of ESPN, the same. Not a single mention that baseball lost arguably one of the most dominant left hand pitcher in the American League during the 50's and early 60's. I know Roddy Piper died. Read plenty about that. Now, I am not claiming wrestlers are not athletes - what they do night after night takes serious training and conditioning. But pro wrestling is not a sport. Just ask the WWFE. It's sports entertainment. All the wins and losses for the performers have nothing to do with their physical actions and everything to do with "what's best for business". Plus I learned Rousey destroyed that Brazlian fighter in 38 seconds about a thousand times! I get it - she's tough (she is). And she has a record of 12-0. Ronda, when you hit a record of 211-169, then maybe you can be talked in 8 out of every 10 tweets over 24 hours. I said I would have numbers. 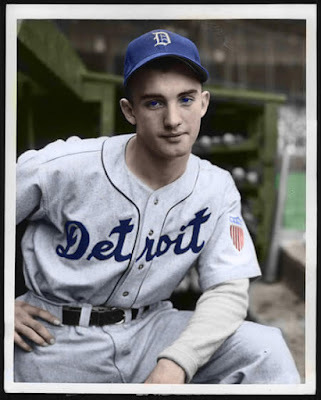 If you ask most people the dominant lefty in baseball during the 50's and 60's, and had a choice of a few names, I think it would be hard to not find most people selecting Sandy Koufax from that list. And yeah, who could blame them - I wouldn't. 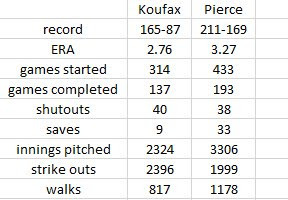 For the 12 years Koufax put into the game, the guy was a machine. Unstoppable, unhittable and damn near unbeatable. Let's take some of Sandy's number and compare them to Billy's. When you look at the numbers, there is no doubt of Sandy's talent, though I think a couple of them may surprise you. Endurance wise, Billy was better, finishing 44.5% of the games he started, while Sandy only completed 34.5%. Sandy averaged 193.2 innings per year, while Billy averages just 10 innings less - 183.2. Sandy was far better striking out the batters, fanning a average of 200 each season. Billy was only striking them out at 111 per. But in regard to control. Billy beats him, walking an average of 65 batters each year, with Sandy at 68. Since sabermetrics is all the rage, and since Baseball Reference was kind enough to run the numbers on these two, let's take a look at some of the newer stats all the kids rave about. A different picture comes out. There is no denying Sandy and his ability to stop the other team from scoring. From his ERA+, hits per 9, walks and hits per inning and strike out to walk ratio, Sandy was easily the best in the business. Most telling is an almost identical WAR. I honestly did not expect to see that when I started this research. But enough about Sandy and Billy. Sandy is a level of his own. I wanted to compare Billy to someone that pitched in the same league, had a long and storied career, and has a plaque in New York state. And that person is Early Winn. Billy is better than Early in every single metric, completely destroying him in wins above average (WAA). Early went into Cooperstown from the writers, not the veterans, with 76% of the vote. Pierce never got more than 2% from the writers in the 4 years he was on the ballot. ANd just 3 votes from the recent veteran's committee. Billy was an All Star seven times - the same number as Wynn, and one more than Koufax. Billy spent years as a dominant pitcher on a lot of unforgettable teams on the south side. In running the numbers, historian Bull Deane determined if the AL Cy Young award existed in the early 50's, Billy would have one it both in 1953 and 1956. But enough about the numbers. With Billy, it was more about the life after baseball - his career in the business world and his tireless work with the Chicago Baseball Cancer charities. He fondly looked back on his life in baseball, but never with regret. 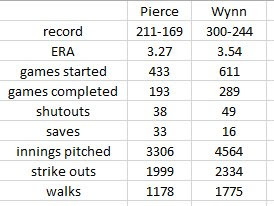 Pierce was one batter away from being the first left hander in baseball history to throw a perfect game, until it was broken up with 2 out in the 9th. To the end, Billy's thought about his brush with history remained the same. "What are you gonna do? Those things happen. We were very, very happy to win a ballgame. But as the years go by, I would have picked a different pitch." Baseball was a career, for a short time, for Pierce. But when his playing days were done, he moved on with life and family, living his quiet life in the suburbs of the city that adopted him after coming over from Detroit. And it's here he will stay forever. Thanks guys. And thanks Billy. We Cubs fans are a generous bunch. Very nice auto cards there, especially the Pacific. It's a shame how little attention Billy received; I guess it's exemplary of his career, unfortunately. RIP Billy. I grew up listening to Mr. Joe Garagiola's broadcast on the game of the week and learned so much about the history of the baseball. (I have a hard time listening to games today; if I wanted to hear the know-it-all BS I would listen to cspan!) Anyway, he led me to read more about the game and the players etc... I can't say I remember Mr. Garagiola specifically talking about Mr. Billy Pierce but for near as long as I can remember, I have recognized Mr. Pierce as on of the best pitchers during the 50's. But the numbers you provided really opened my eyes...why isn't he more recognized or in the Hall? However, that really is another discussion better left for a different day. Between what you wrote and the attached video, he seems like a wonderful and caring man, and we truly need more men like him today! RIP Mr. Pierce and thank you for your contributions on and off the field! a wonderful and informative tribute! i had no idea Pierce was that good - or that he had passed. Thanks for your well-written post!!!! Great job with the research. I'm glad I've added a few Pierce pieces to my collection over the years. Definitely deserved better..
ESPN should pay you to use this tribute on their site. Great post! Jeff, you did well with this one. A nice tribute to a true gentleman and underrated pitcher.